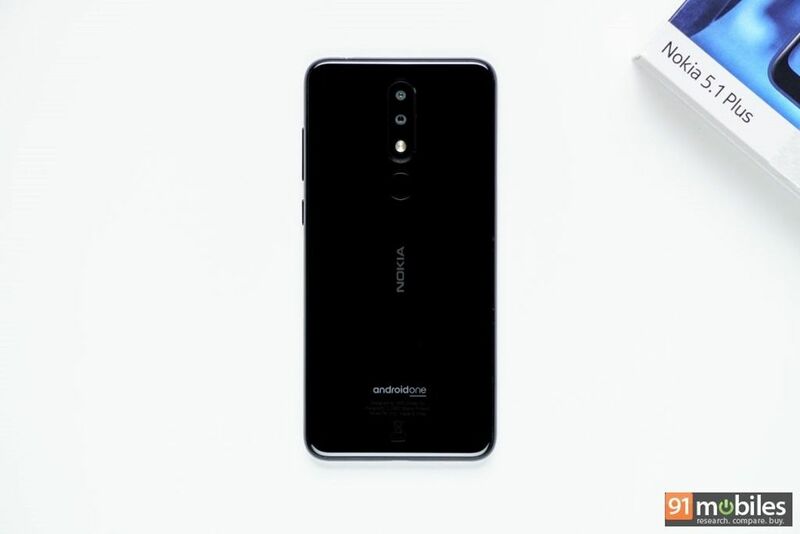 HMD Global launched the Nokia 6.1 Plus (review) in India last month along with the Nokia 5.1 Plus (first impressions). While the brand announced the pricing and availability details of the 6.1 Plus, the company only said that its sibling will be going on sale in the month of September. Ahead of the launch, we managed to obtain the retail unit of the Nokia 5.1 Plus and here’s a peek inside the packaging. 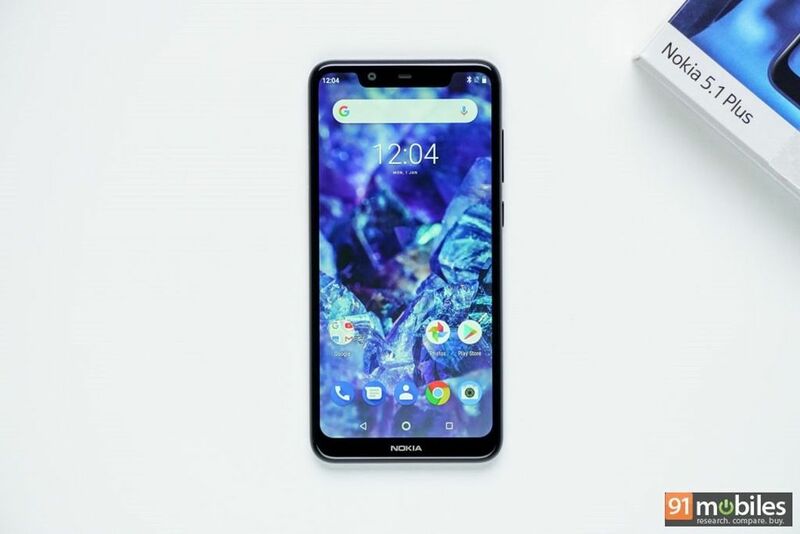 The Nokia 5.1 Plus comes in a quintessential squarish Nokia box with the image of the handset on top with the device name and Android One branding. The top also has the graphic illustration of holding hands, which is reminiscent of Nokia’s iconic ‘Connecting people’ tagline. The box has minimal branding all around and core specs of the phone listed at the bottom. The packaging is typical Nokia with the outer layering being a sheath for the inner compartment, which can be opened by tugging on the pull tab on the side. Once you pull out the inner compartment of the retail pack, you will find the box neatly divided into two sections with the Nokia 5.1 Plus on the right. The section below the device houses a pair of in-ear earphones and the standard documentation. The enclosed section on the left contains the 2A power brick and a Type-C cable. To recap, the Nokia 5.1 Plus comes with a 5.86-inch display with a resolution of 1,520 x 720 pixels. The smartphone draws power from the MediaTek Helio P60 chipset, which is accompanied by 3GB RAM and 32GB expandable storage. The camera department gets 13MP + 5MP shooters on the rear panel and an 8MP front snapper. By the virtue of being an Android One smartphone, the 5.1 Plus boots stock Android 8.1 Oreo out of the box. Powering the handset is a 3,060mAh battery. For security, there is a rear-mounted fingerprint scanner and the face unlock feature. 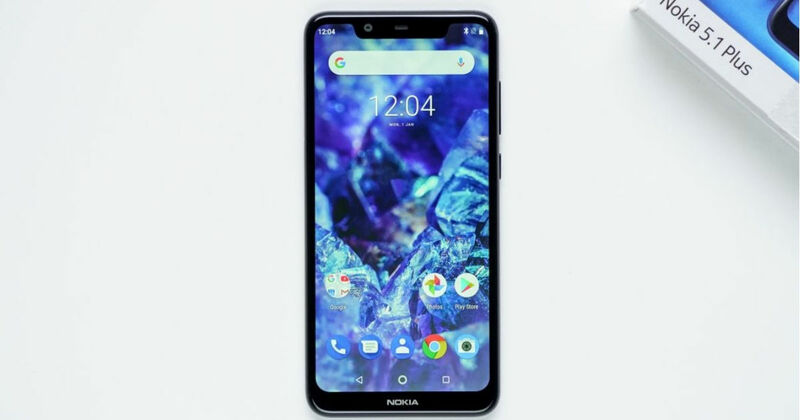 HMD Global is offering the Nokia 5.1 Plus in three hues – Black, Baltic Sea and Glacier White. We will bring you pricing and availability details as and when the brand announces them, so stay tuned.